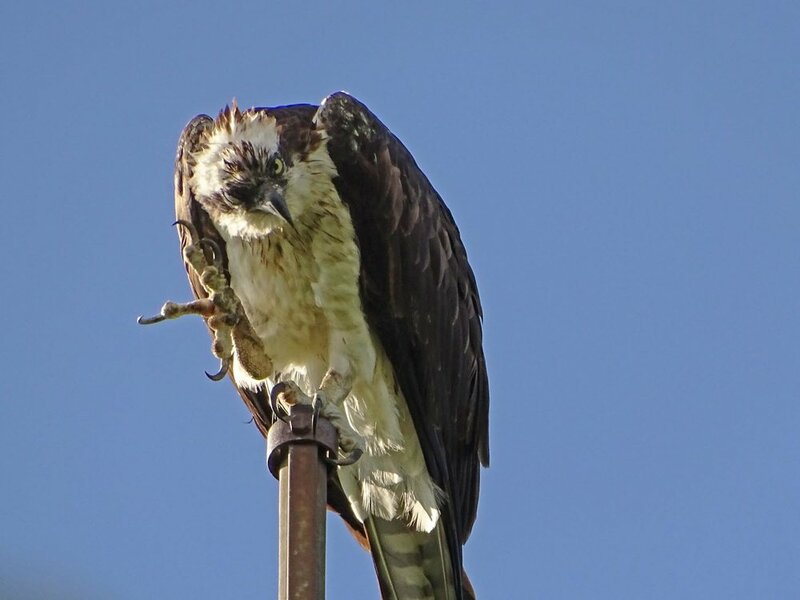 May and June are great times to see ospreys, those wonderful seaside raptors that love to dive into water to catch fish and nest high in trees or on platforms. 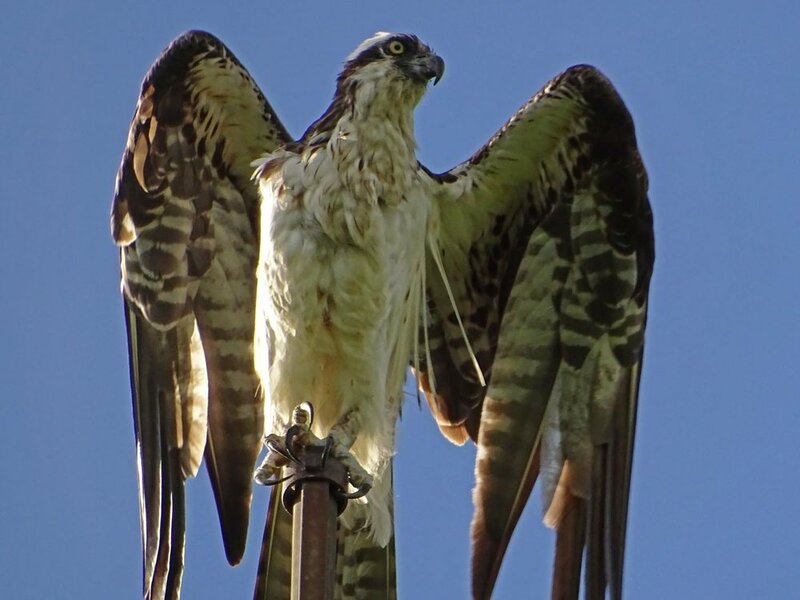 I have seen ospreys at Marine Park, Jamaica Bay Wildlife Refuge and Broad Channel Park. They nest in May, and by June have little ospreys sticking their heads out of the nest. There have been osprey flyovers at Central Park, but I've never seen one land there. 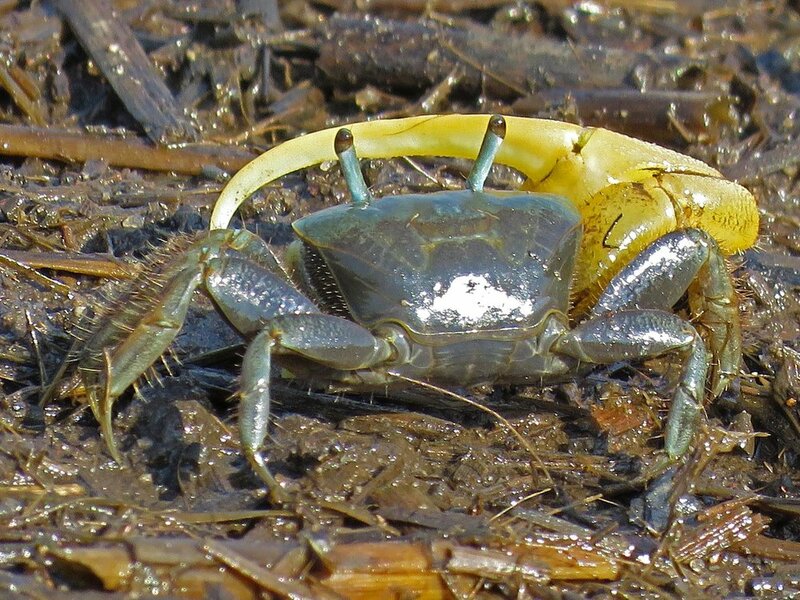 They have a very distinctive flight, which you can see in the video below. The Filming the Feathers video was shot at a nest at Marine Park, two nests at Jamaica Bay and another nest at Broad Channel Park. Music is by Giuseppe Maria Cambini, Wind Quintets Nos. 1, 2 and 3, performed by Soni Ventorum Wind Quintet (obtained from MusOpen.org, a royalty-free music source). 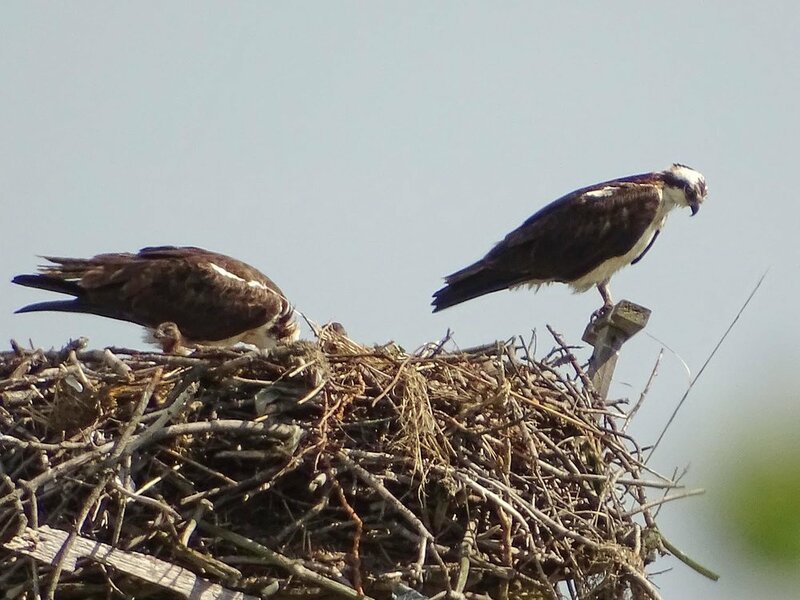 One of the nests at Jamaica Bay Wildlife Refuge has two babies, which you'll see sticking their heads up and flapping their little wings. 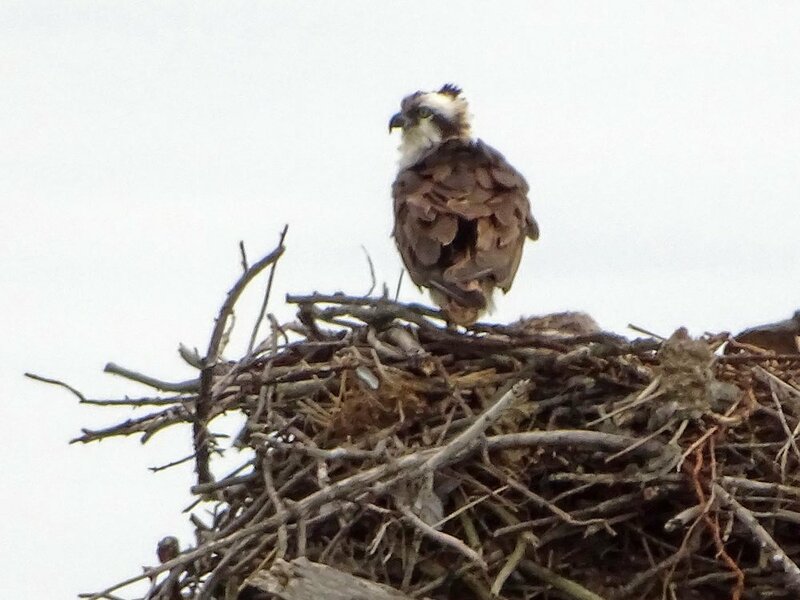 The first osprey nest I saw was at Marine Park in July 2015. The rest of the photos are from May and June 2017, at all three sites.